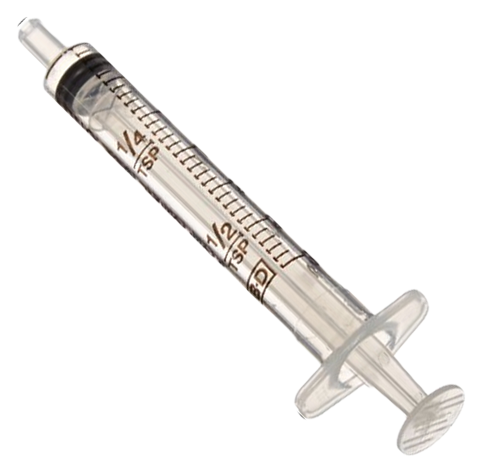 3 mL Oral Syringes are used for administering liquid medicine that is hard to measure using a normal medicine spoon. 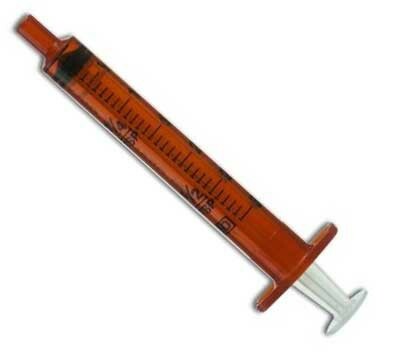 An Oral Syringe is a measuring device used to accurately measure small doses of liquid medicine, which are then given to the patient by mouth. Two Oral Syringes to select from--CLEAR and AMBER. Features easy-to-read scale markings in both milliliters and teaspoon scale for accuracy to reduce the risk of medication dosing or administrative error. 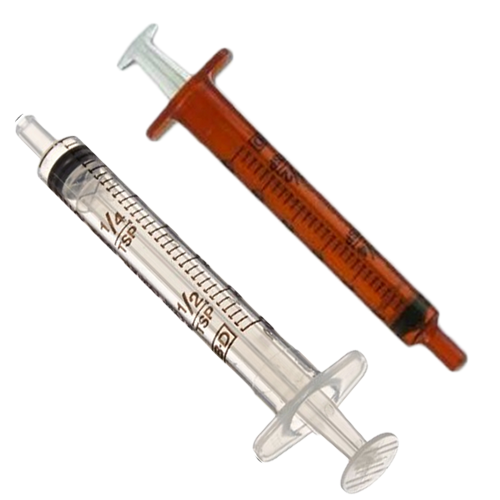 Both syringe types come with a tip cap. BD 3 mL Oral Syringe Product ID Numbers: 305210 and 305220. The product was exactly what I wanted, a great price and arrived quickly. Accidentally ordered the wrong the wrong product. Called into Vitality and explained the situation. After explaining what happened, I worked with customer service and we resolved the issue. They refunded the first order and re ordered the correct product for me. Excellent Customer Service!! !